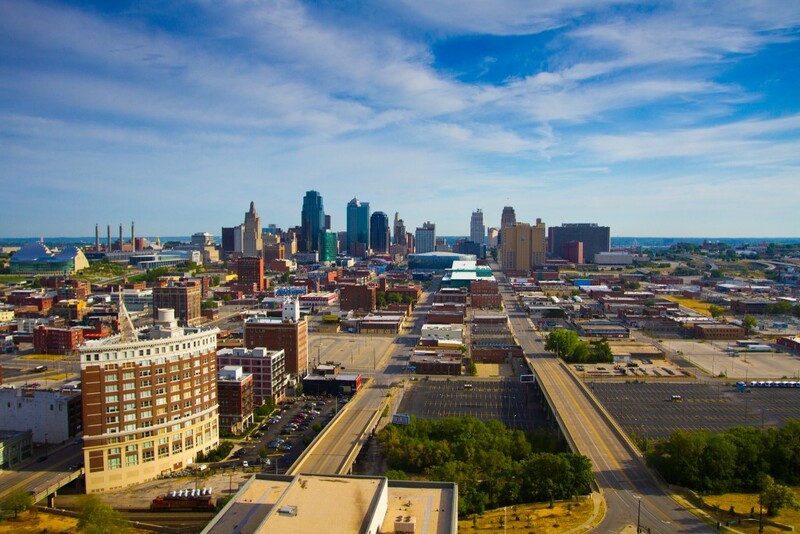 The largest city in Missouri and among the largest cities in the Midwest, Kansas City is a booming real estate market with attractions including distinctive barbecue, craft breweries, and major sports teams including the Kansas City Chiefs and Kansas City Royals. Kansas City was recently named one of Huffington Post’s America’s Top 5 Cities to Keep on Your Radar for its jazz, barbecue, and historic City Market. It’s also been highlighted as one of America’s most lovable cities, coolest cities in America, and one of the best cities for jobs with nearly 30,000 job openings today, particularly for sales engineers, registered nurses, and accountants. Kansas City has long been known as an affordable home market with steady home prices and appreciation rates. The city currently has a median home price well below the national average, but prices and appreciation remain on pace with the national average. Experts expect to see further growth through the rest of 2016. Inventory is low, so homes are in short supply. In this competitive market, experts say it’s a good time to sell and competitive time to buy in Kansas City. Whatever your real estate plans are in Kansas City, you’ll need the help of a qualified professional. With experience, knowledge, and connections, Kansas City’s leading real estate agents can guide you through any real estate transaction, whether you’re buying, selling, or investing in the city. A Realtor is your best bet for maximizing the benefits of any real estate transaction. We’ve found the 15 best real estate agents working in Kansas City today. These agents are dedicated, experienced, and trusted in their communities to deliver a high level of real estate service. They have many satisfied clients in their history and are respected for their expertise in the Kansas City real estate industry. As the best real estate agents in Kansas City, these agents offer the best real estate experience in the city. We trust each of them to handle real estate clients with care and professionalism, so we haven’t listed them in a ranking order. However, we’d like to hear from you on which one you think is the best. Please vote in our poll at the end of this article to tell us which of Kansas City’s leading real estate agent is the best in the city. Vote today and don’t wait: the poll will close in 30 days! Dani Beyer is a top producing Kansas City real estate agent and listing specialist. She has 12 years of experience in real estate in Missouri and Kansas and has lived in Kansas City her entire life. With an insider’s perspective, she is familiar with neighborhoods, schools, entertainment, and more, and is a knowledgeable resource for buyers interested in Kansas City. In her career, Beyer has helped hundreds of families buy and sell homes in the Kansas City area. Beyer has extensive experience in residential real estate, specializing in existing and new homes, town homes, condos, and lofts. She has also worked with local Kansas City companies on employee relocations. With a background in technology, Beyer enjoys using technology to make the buying and selling process easier with tools like digital signatures. Beyer serves on the board of directors for the Keller Wiliams Realty KC North office and is the real estate trainer and mentor for her company. Clients say Beyer and her team offer true customer service with honesty and professionalism. They’re impressed by her ability to come prepared and deliver results with calm, confident service and a no nonsense approach. They trust that she always represents their best interests every step of the way. Jack Burns is a highly experienced real estate agent in Kansas City. He has worked in Kansas City real estate since 1980, giving him more than 35 years of experience in the local real estate market. He is also a lifetime resident of the Kansas City area. Burns specializes as a buyer’s agent and listing agent with interests in relocations and short sales. He also enjoys working with new construction and foreclosures. As a full time Realtor, Burns stays busy and has a licensed assistant available to help, so clients never have to wait to receive service. Clients of Burns say he is able to take care of their needs quickly and efficiently, making the entire process smooth and offering positive outcomes. They appreciate his guidance, negotiation skills, and diligent research. A real estate professional and founder of Urban Cool KC, Franny Knight is dedicated to promoting Kansas City’s interesting, unique, and historic homes and neighborhoods. Knight specializes in areas including Brookside, Westwood, West Plaza, Hyde Park, Union Hill, Coleman Highlands, Westside, Columbus Park, Quality Hill, Pendleton Heights, Scarrit Renaisance, and Waldo. She and her team serve all buyers and sellers, but are particularly excited to meet the real estate needs of empty nesters and modern families including ethnically diverse, GLBT, and blended families as well as urban homesteaders and home schoolers. Clients say Knight is knowledgeable and efficient. They’re impressed by her knowledge of Kansas City, patience, and professionalism. They say she makes their real estate experience easy and enjoyable and appreciate that she takes the time to understand and meet their needs. Since 1999, Faye Whitney has been a real estate agent in Kansas and Missouri. Today, she is a real estate professional with Platinum Realty in Overland, Kansas. Her areas of specialization are with buyers and sellers, including short sales. She has extensive knowledge of the greater Kansas City area on both sides of the state line and is dedicated to helping clients find the right home or finding the right buyer for their home. Whitney is always proud to help her clients meet their real estate goals. She listens carefully to understand every need and creates useful solutions for each client. She also takes pride in communication, always returning phone calls, emails, and continuing to follow up with clients. Her expertise, proven track record, and resources are at your disposal as Whitney works to help you achieve your real estate goals. Clients say she is down to Earth and delivers excellent service, including answering questions and managing all tasks in a timely manner. She is friendly, accessible, and knowledgeable about the housing market — and she has superior negotiation skills. And clients feel that she is genuinely looking out for them, finding homes she’d be comfortable selling to her own family. Deb Haddock is a licensed Realtor in Kansas and Missouri, specializing in Clay an Platte county real estate, particularly single family residences. Haddock is rated in the top four percent of all Realtors in the Kansas City metro area. She takes pride in her knowledge of the Kansas city metro area, its school districts, neighborhoods, services, and more. Putting customer service as a priority, Haddock is a customer driven Realtor and will always communicate and respond quickly to your needs. Clients are updated every step of the way and hear from her often as she does everything within her power to make every home purchase or sale go smoothly. She is dedicated to achieving results and providing exceptional service. Haddock has lived in the Kansas City Northland for 35 years. She is active in the community in tennis leagues, as a member of the Northland Racquet Tennis Club, and as a participant in 5Ks, triathlons, and area bike rides including the Ragbrai and MS150. Clients appreciate Haddock’s help every step of the way. She is always there to help answer questions or address concerns. They’re pleased with her results and feel working with her is a great experience. Linda Cone is a Realtor with more than 24 years of experience. She founded The Cone Team in 1992, a group that has now grown to include agent Ana Royal and several admins. With her experience as a teacher and interior kitchen design specialist, Cone takes are to teach her clients everything they need to know about buying and selling homes in the Kansas City metro area. Cone is proud to be active and give back to the Kansas City community. She has served on the board of directors of the Kansas City Regional Board of Realtors, Heartland Habitat for Humanity, and Sharing a Vision for Generations. She is a former Kansas City Regional Board of Realtors Salesperson of the Year. Clients say Cone is very helpful and always has an answer. She is knowledgeable, understands requirements and desires, and makes the experience of buying and selling homes easy. They appreciate her honesty, understanding, and ability to problem solve. Todd Marcus is the broker and owner of Chief Properties. He has 18 years of experience as a real estate professional. Marcus specializes as a buyer’s agent and listing agent and offers services including 1031 tax exchanges and commercial real estate. With a background in construction, Marcus has valuable experience and insights for buyers, sellers, and real estate investors. He believes in establishing trust and exercising patience with his clients. He values charity and giving over profit margins and places an emphasis on building relationships and trust. As a boutique real estate firm, Marcus and his team are focused simply on building a successful business one satisfied client at a time. Marcus and the Chief Properties team are service oriented and active in the community. They have successfully placed more than 60 refugee families annually into permanent housing situations. Clients say Marcus is a pleasure to work with. They find his professionalism, reliability, and responsiveness excellent and credit these qualities with his ability to execute stress free sales. His prompt responses, ability to follow up, and willingness to answer every question thoughtfully are valued by his clients. Adam Butler is a Realtor serving the greater Kansas City area. He has more than 19 years of experience and is the leader of the Adam Butler Team, including full time licensed agents, buyer specialists, listing specialists, and a client care specialist and transaction coordinator. Butler is licensed in Kansas and Missouri. He is dedicated to honestly and aggressively representing the interests of his clients. Butler is always willing to go the extra mile and gives each sale or purchase the same level of care and attention he would for his own home. It’s always his goal to make lifelong clients, not single sales. Clients are impressed with Butler’s knowledge and excellent team. They value his judgement and appreciate his honest, straightforward advice. Clients of Butler happily return to him for all of their real estate needs and say they can’t ask for a better Realtor or team to support their needs and help them meet their real estate goals. They say it’s clear he truly cares about the families he represents. Michelle Van Trump is a sales and leasing agent wih 12 years of experience. She works with the Boveri Realty Group in Kansas City. Van Trump is a buyer’s agent and listing agent with interests in relocation and property management. She specializes in downtown Kansas City living, working exclusively with buyers, sellers, and renters of lofts, condos, homes, and commercial properties. She provides services to buyers and renters with no fees or commissions. Van Trump is a fountain of knowledge, offering excellent information and resources about Kansas City’s urban scene. Clients say she goes the extra mile for them, always tying up loose ends and finding exactly what they need. They appreciate her patience, support, and ability to answer questions with helpful, fast responses. They are impressed by her knowledge of the area and ideas for meeting their needs. Kelly Sloan is a broker, Realtor, and owner of Home Sweet Home Realty in Blue Springs, Missouri. She has more than 14 years of experience in real estate. Sloan and her team have helped hundreds of buyers and sellers in Kansas City and surrounding areas. She serves first time home buyers, seasoned veterans of the home buying process, and sellers alike. For every client, Sloan is there every step of the way all the way to the closing table. She takes special care to educate her buyers so they can make confident decisions and avoid costly mistakes. Sloan uses aggressive marketing and comprehensive comparative analysis to help sellers get top dollar for their homes. Every Monday, Sloan hosts a live radio broadcast, “There’s No Place Like Home,” on 102.9 FM. On the show, she answers real estate and loan questions and even looks up information on homes to buy and sell live on the air. Clients are happy to place their trust in Sloan and rest easy knowing she will never steer them wrong. They love her laid back attitude and her well informed work. They know they’re in good hands as she explains what to expect and helps out every step of the way. She offers an excellent experience with tremendous support for every client. Miki Jarrett is a Realtor in Prairie Village, Kansas serving the Kansas City area. She has more than 10 years of experience in real estate and also has a background in the mortgage business. Jarrett specializes in midwest modern homes and is obsessed with all things home and garden. She loves to go above and beyond for her clients and enjoys having a 100 percent referral based business. Clients of Jarrett say she really understand what they want and saves them time and frustration by cutting to the chase. They say it’s clear she loves what she does. She is always fast to respond, offers great advice, and gives helpful attention to all of her clients. They’re happy with her results and are impressed by her negotiating skills. Chip Glennon is an experienced broker and owner of Glennon Real Estate Experts in Kansas City. He has been a licensed agent since 1988 and an auctioneer since 1987. Glennon specializes in new homes, foreclosures, bank owned properties, horse properties, and farm and ranch properties. He is a Certified Default Property Expert, Certified Default Resolution Specialist, and Preforeclosure Specialist Certified. Glennon is active in the local community, particularly in horses. He owned and trained a champion quarter horse, is a 13 time AQHA world finalist, and is vice president of the Clay County Cattlemens Association. Clients say Glennon and his team of real estate experts are excellent to work with. He is responsive, knowledgeable, and helpful throughout the entire process. They find Glennon and his team to be professional, informative, and involved. Dan Novak is a broker, listing agent, and owner of Prime Time Real Estate in Kansas City. He has more than 11 years of experience in real estate. He specializes in home sales in the Northland and uses his expertise to give his clients every sales advantage possible. For every client, Novak helps prepare the home for showing, price it appropriately, market it, and negotiate aggressively to sell for top dollar. He promises clients the most money, quickest sale, and the fewest problems. With home buyers, he helps clients make the right choices as he walks them them through the process of buying a home step by step. His clients get the home they want at the best price possible. Clients of Novak are amazed by his results. They are pleased by his ability to quickly market and sell homes for the best price. And they’re impressed by how he can make small adjustments to attract buyers and get a higher sales price. They say he is a true professional, hard worker, and always knowledgeable and great with communication. Sam Lind is a real estate consultant and salesperson and principal of the Lind Property Team in Leawood, Kansas. He has a proven track record of real estate excellence throughout the Kansas City metro area. Lind’s background includes real estate investing and legal experience, giving him an especially helpful perspective to help his clients. His real estate investment experience helps him not only represent other investors, but offer support for design and home improvements. His legal background makes it easy for him to help clients negotiate complex real estate transactions. Clients say he is professional, patient, and supportive. They are impressed by the countless hours he spends helping them while maintaining a tireless, accommodating attitude. They especially value his knowledge, helpfulness, and honesty. Ray Orellano is principal broker and owner of Scudo Realty & Property Management in Overland Park, Kansas. He has more than 12 years of experience in real estate. He specializes in residential listings, first time home buyers, real estate investment, real estate development, contract negotiation, and more. With experience in the competitive Manhattan real estate market, Orellano is known for quick results. He is also trusted to keep the interests of his clients at the forefront of every transaction. Orellano is dedicated to going above and beyond, exceeding the wants and needs of his clients. Orellano’s clients say it’s clear he and his team care about their clients and will do everything they can help. They say he offers amazing customer service, quick responses, and is great to work with. They find him easy to communicate with and feel he makes their experience seamless and stress free.